How Does Back Pain Affect Someone Over the Long Term? If you experience back pain, you’re not alone. It’s the leading cause of disability worldwide, and back pain affects roughly 90 percent of the population at one time or another. There’s no doubt that spine-related discomfort can have an immediate impact, but how does back pain affect someone over a longer period? This is the question researchers attempted to answer with a new study focused on the topic. Patients with persistent and worsening back pain reported experiencing more disability and discomfort related to their spine issues. They also visited doctors more often than other groups and used opioid painkillers more often. Interestingly, the people with back pain who recovered sometime during the study period also reported an increase in opioid and antidepressant use. In other words, these individuals continued to take medication even after their symptoms were no longer an issue, which is cause for concern, since the long-term use of certain medications can create an entirely new set of problems. The study’s lead author suggests this evidence shows a need for ongoing monitoring to minimize risks of dependence and addiction. While recognizing that what works for one patient may not work for someone else with the same back problems, researchers came to one main conclusion based on the study’s results: a comprehensive approach to treatment is the best way to treat back pain. The study didn’t mention what treatment techniques the recovery group used. However, as the study’s authors concluded, most people with back pain respond well to treatments that address the many aspects of back pain in a way that’s more active than passive. If you’re living with long-term or recurring back pain, a good starting point is to get an accurate diagnosis so a personalized and comprehensive treatment plan can be recommended. 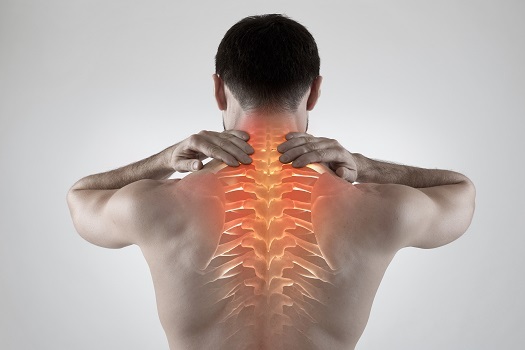 If your quality of life is being affected by back pain, seek the advice of an experienced Los Angeles spine surgeon with specialized expertise in techniques that provide back pain relief. The pioneering spinal health experts at The Spine Institute use state-of-the-art technology and innovative methods to help patients find relief from neck and back pain. Call one of our friendly representatives today at 310-828-7757 to schedule a consultation.